This is the Latching Mini Relay FeatherWing. It gives you power to control, and control over power. Put simply, you can now turn on and off lamps, fans, solenoids, and other small appliances that run on up to 250VAC or DC power using any Feather board. or DC power using any Feather board. A Feather board without ambition is a Feather board without FeatherWings! 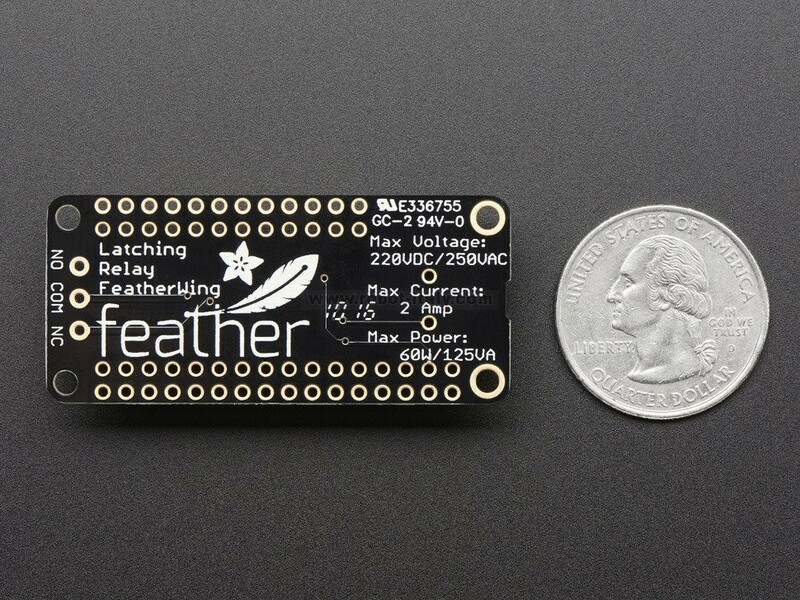 This is theLatching Mini Relay FeatherWing. It gives you power to control, and control over power. Put simply, you can now turn on and off lamps, fans, solenoids, and other small appliances that run on up to 250VAC or DC power using any Feather board. 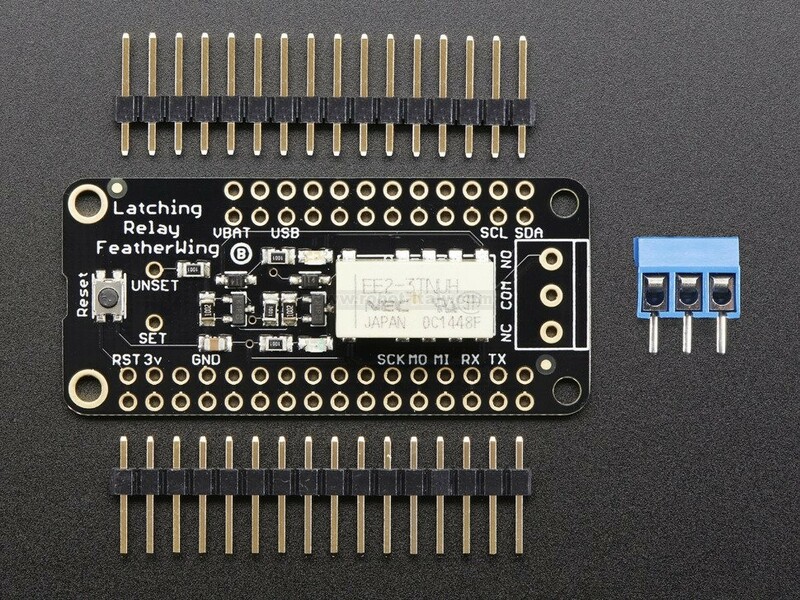 The are two 'flavors' of these FeatherWings, this is the Latching relay. 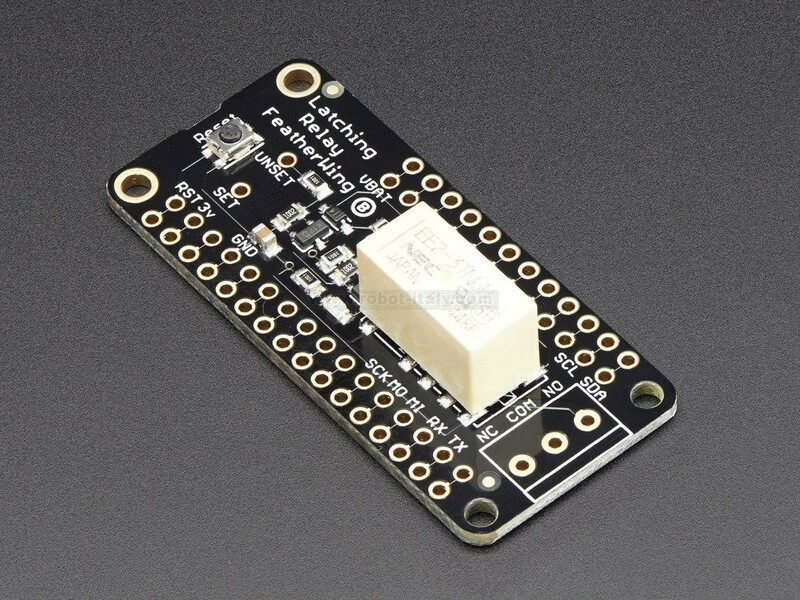 This one requires two pins, a SET and UNSET and instead of keeping the SET pin high, you only have to pulse each pin high for 10ms to latch the relay open or closed. You need two pins but save power. Note, if power is lost, the relay will stay in the last setting. 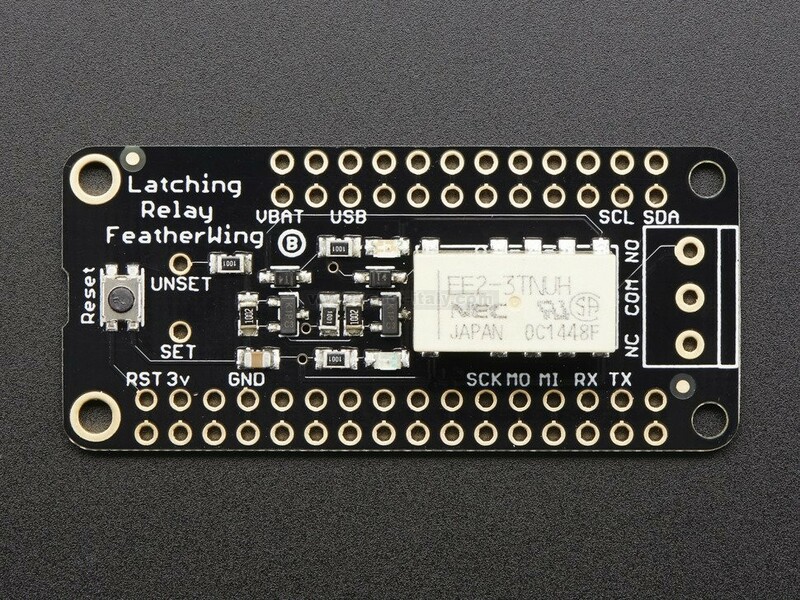 The other type of relay FeatherWing is the simple Non-Latching relay, it requires only a single signal pin.